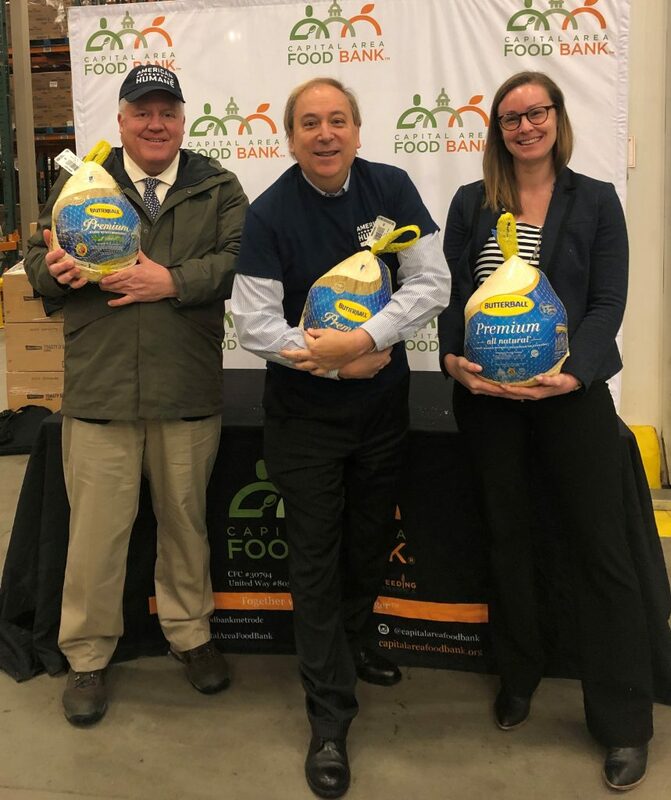 American Humane,the country’s first national humane organization, and Butterball LLC., the iconic brand of turkey that has become synonymous with Thanksgiving, worked to make the holidays a little brighter – and more humane – this year by delivering a truckload of delicious, humanely raised American Humane Certified Thanksgiving turkeys to the Capital Area Food Bank, where they will be distributed to local churches, day care centers, and homeless shelters. The donation of 6,000 meals’ worth of turkey, came in connection with a major congressional briefing later in the day on Capitol Hill, called the “Humane Table.” Hosted by the Congressional Humane Bond Caucus, the briefing outlined advances in humane agriculture, encouraged everyone to set a humane table during the holidays – and all year round – and spotlighted American farmers, ranchers and leading producers including Butterball, who not only put food on our families’ tables, but who do it right by providing food that is safe, abundant, affordable andhumanely raised under ethical and verifiable science-based standards. “We want to thank our friends at Butterball for committing to verifiably humane practices and for working to make a better world for both people and animals,” said Dr. Robin Ganzert, President & CEO of American Humane.